There's nothing more frustrating than ordering equipment, getting all ready to install it and then realizing you don't have everything you need. Argh! But have no fear, at SkyGeek we're on top of it and offer a selection of Airwolf air and oil separator kits that contain everything you need to get started. 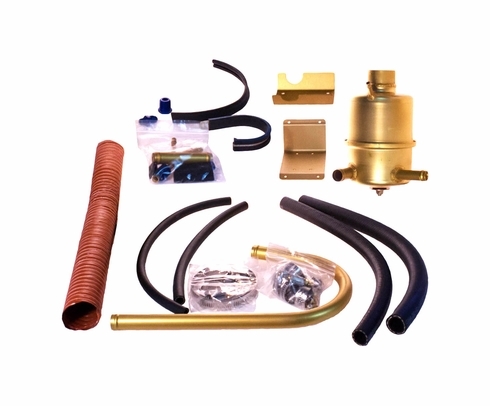 Our Airwolf air/oil separator kits come with all the parts you need for installation, including brackets, clamps, hoses and doublers. Everything's included, right in the box so you'll never have to order additional parts or hunt for missing pieces. 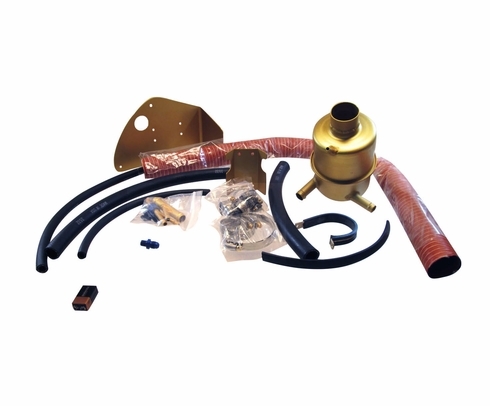 In addition to air and oil separator kits, we also carry a huge selection of AirSeps. No matter what your needs are, we have the right aircraft air/oil separator to get the job done. Our kits are designed to fit many different makes and models of aircraft. The Airwolf oil/air separator is between 180 to 500 percent larger than most other engine oil separators available today. In addition to a larger capacity, they have other major benefits including precision temperature controls for better stability. The separators have the ability to heat up to 212 degrees Fahrenheit, so they don't condense water. These oil-air separators also expel less oil residue. The small amount of vacuum pump discharge air used condenses the inside oil and returns it to the running engine. This is a big advantage over gravity-flow systems which don't return oil to the engine until the system is turned off. Airwolf air/oil separators from SkyGeek come with an impressive lifetime warranty from the manufacturer. This incredible commitment to quality and customer satisfaction is just one more thing that sets Airwolf apart from competitors. 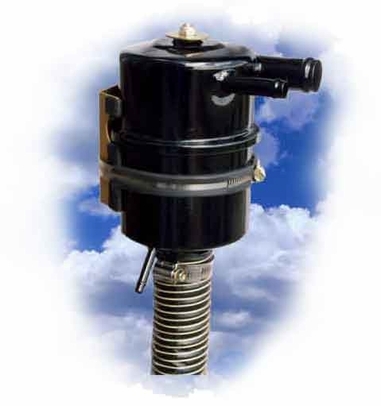 These air/oil separators are extremely reliable and long-lasting, so you can take to the skies with confidence. For more information about a particular product or for a more detailed description and list of included parts, please see individual product listings. At SkyGeek, we strive to provide customers with all the information needed for a successful purchase and installation. All part numbers and applications are listed in a prominent location so you can find the model you need for your aircraft.